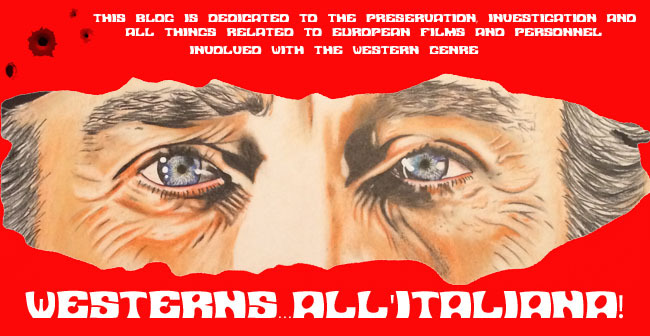 The idea of a “sequel” was a bit of a non-entity in Italian B-cinema of the 1960s and ’70s. Not because the audience didn’t want to see more adventures of particular characters, nor because the producers didn’t believe in making them. Rather, intellectual property was so fluid and unprotected that anybody could make a movie and title it anything they wanted to capitalize on another film’s success. So even if you didn’t think you were making a sequel to something, you might find out you had once it came out. 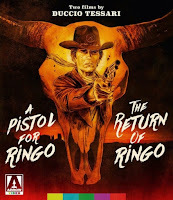 Director Duccio Tessari had a bit of fun with this with his two 1965 spaghetti westerns, A Pistol for Ringo and The Return of Ringo. 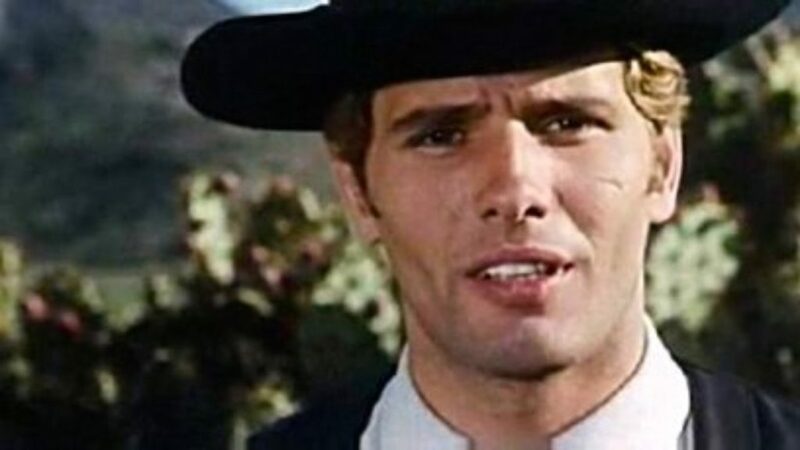 Tessari’s first western (already his third film released in 1965) proved to be such a hit, introducing the handsome, fresh-faced and puckish hero Ringo, played by Giuliano Gemma (credited in both films as Montgomery Wood), that unofficial sequels followed almost immediately. Most notably, Alberto De Martino’s $100,000 for Ringo released only a couple of months later. The lead character in that film was originally named Lee Barton, but after A Pistol for Ringo‘s success, the character was given the nickname Ringo and the title changed to capitalize. And it worked. Even though there wasn’t any direct connection between the films, the presence of the name “Ringo” was enough to bring audiences in in droves. A Pistol for Ringo begins with the angel-faced Ringo killing four men in a gunfight. He’s arrested and taken to jail where he asks for a glass of milk and claims he only acted in self-defense. Meanwhile, the aging Major Clyde (Antonio Casas) and his daughter Ruby (Hally Hammond, real name Lorella De Luca) celebrate Christmas at their hacienda when its besieged by a gang of bandits. Led by Sancho (Fernando Sancho) and his Lady Macbeth-like mistress (Nieves Navarro) who uses her wiles to win over Major Clyde and keep him placated, the gang sit on the enormous loot they’ve just stolen. The town’s Sheriff (George Martin) wants to send a band to liberate the family, and rescue Ruby whom he loves, but Sancho says he’ll kill two hostages a day unless the Sheriff allows them to go free. In a last ditch effort, the Sheriff releases and deputizes Ringo to go infiltrate the gang and keep everyone safe. 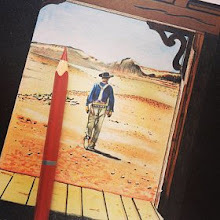 He’ll have to use his wits, because the joke of the movie is that no one–not the Sheriff nor Sancho–will give Ringo a pistol, which is a shame since he’s the fastest gun in the west. A Pistol for Ringo is first and foremost a fun movie. 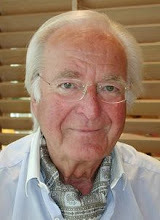 Tessari was emboldened by the success of Sergio Leone‘s A Fistful of Dollars, which he’d helped write the previous year and was given the freedom by producers Alberto Pugliese and Luciano Ercoli to make whatever kind of film he wanted, so long as it was a western more or less in the Leone style. Pistol has a lot of humor, including some outright slapstick comedy, and Gemma’s Ringo is a smiley trickster whom you know isn’t a bad guy, but you’re never quite sure he’s a good guy. His singular and complicated morality (stealing is fine, killing bad guys is fine, but mistreating women and not celebrating Christmas sure aren’t) is one of the standouts of the movie. He’s a character that absolutely could have returned in many more movies. But, officially, he never did. After Pistol‘s release in May of 1965, when it was a huge hit in Italy and elsewhere, the team got back together to do another Ringo, and instead of having the character return as he was, he’s a totally different person, who just also happens to have the nickname Ringo. While Clint Eastwood’s character in the Leone films has a different name in each movie, it’s very clear he’s meant to be the same person, but, despite what The Return of Ringo‘s trailer said, nobody’s meant to be the same character, even though literally everyone came back. 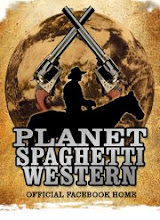 Dozens more movies were made in the ensuing spaghetti western years by various different filmmakers using the name “Ringo” in the title, much the same way “Django” would get exploited following the success of Sergio Corbucci’s 1966 Django. 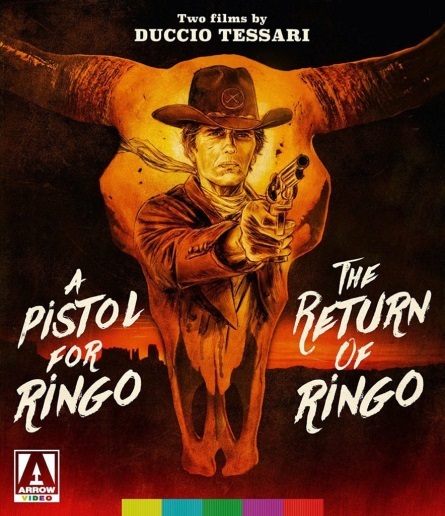 But what makes A Pistol for Ringo‘s case so interesting is that Tessari wanted to get ahead of the rip-offs, and made his own, totally unrelated film featuring all of the same main cast and behind-the-scenes personnel. The Return of Ringo is truly the sequel that isn’t a sequel. This time, Gemma plays Capt. Montgomery “Ringo” Brown, a battle-hardened Union officer returning home to his wife and daughter, only to find they’re dead at the hands of a Mexican bandit called Esteban Fuentes (Sancho again). Going undercover as a Mexican peasant, Ringo learns his family isn’t dead, but his wife Helen (Hammond) is about to marry Fuentes as a means of saving her daughter. Navarro again plays the femme fatale, this time a saloon girl and fortune teller who has her own score to settle with Fuentes. 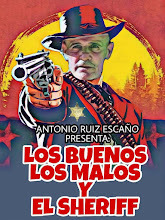 This go-around Casas plays the good, if slightly ineffectual, sheriff of the town, and Martin plays the vile brother of Fuentes. 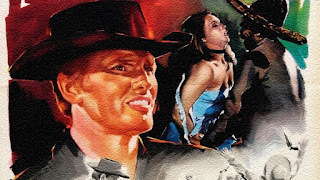 The Return of Ringo is a complete tonal opposite to A Pistol for Ringo, a steely revenge drama with some particularly violent set pieces, some commentary on racism in the American southwest, and a hero who’s just this side of being irredeemable. It’s fitting that even when he reveals his identity to Helen, she hardly recognizes him. Pistol is bright and sunny despite the danger, while the sun in Return is oppressive and blistering. The music to both films is done by the great Ennio Morricone, and the first is snappy and upbeat the second is much crunchier and more ominous. The two Ringo films are often cited as sequels but they’re closer to variations on a theme. In either movie, Ringo goes undercover to infiltrate the evil gang and save the girl–usual hero western stuff–but Tessari approached them in such different and fascinating ways that you’d be forgiven for thinking they were made by different people. Reusing the same principle cast was a genius way to capitalize on the earlier film’s success without having to kowtow to the creative stifling often inherent in making “another one.” Gemma’s performances in each movie are impressive in their own way; he fits perfectly into the role of fresh-faced ruffian and embittered, half-mad ex-soldier alike. Watching them side by side is a revelation whichever way you look.